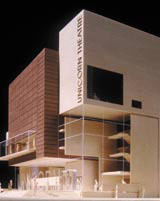 Work kicks off this week on London’s Unicorn Theatre, billed as the UK’s first purpose-built professional children’s theatre, which is set to open on Tooley Street in Southwark, south London, in late 2005. The building and interiors, including lighting, seating and auditorium, are by Keith Williams Architects. The theatre is ‘in discussions with a couple of branding [consultancies]’ to redesign its identity, and is looking to make an appointment early next year, says marketing director Emma Simon. The Unicorn will include a 350-seat main auditorium, a smaller 120-seat space, education and rehearsal studios and public areas such as a cafÃ©. Keith Williams, principal of KWA, is working with multimedia artist David Cotterrell on an installation for the space. KWA is currently finalising design concepts for the interior, Williams says, and is now starting to look at external lighting. It has created a bespoke seat for the auditorium and tendered it out to manufacturers, he adds. Working with Arup, KWA’s designs include an auditorium box that cantilevers out over the main foyer and will have 11m-high ceilings to allow as much natural light as possible. 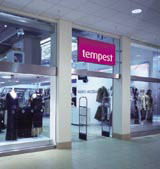 ‘We have taken a holistic approach to the scheme, designing the external elements as well as internal,’ says Williams. KWA was awarded the work after winning a competition in the EU Journal two-and-a-half-years ago. The theatre aims to reflect the ‘cultural diversity’ of London and hopes to benefit over 100 000 children each year, says Simon. As well as plays, its ancillary events will include storytelling festivals, talks, demonstrations, book launches, poetry readings, recitals and creative writing workshops.